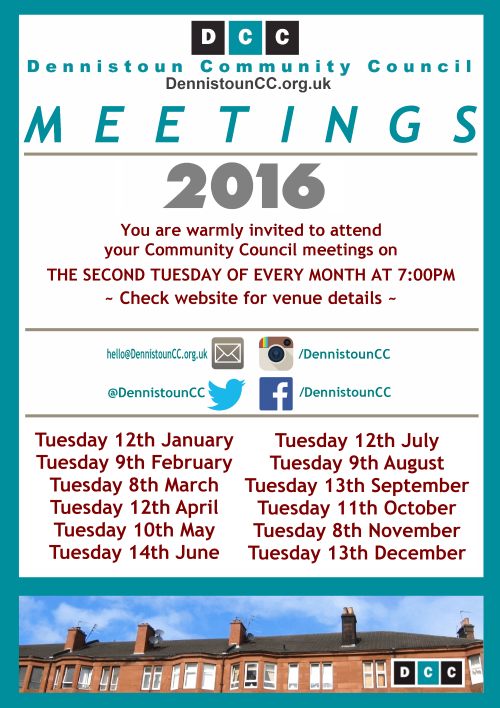 Check our Dates page for confirmation of the venue for each meeting. 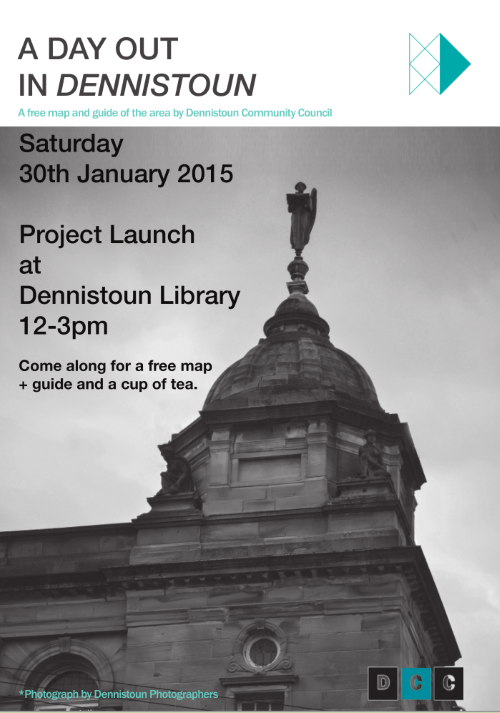 Dennistoun Community Council, in conjunction with architectural practice Dress for the Weather, have a created a free fold out guide to our area called A Day Out In Dennistoun. It features an A2-sized map of the area noting locations of interest, with a wealth of background information on the rear of the map.